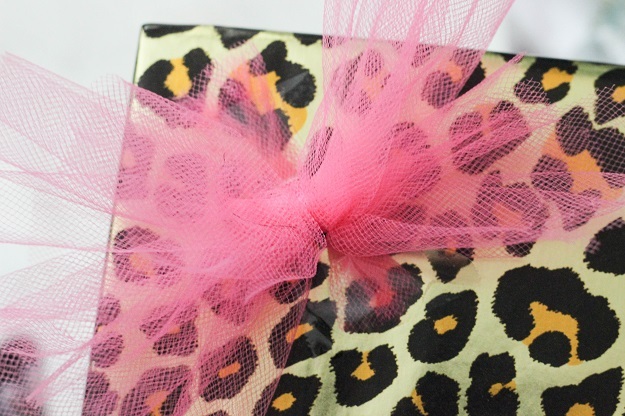 As much as I love bows, I have a hard time actually tying them on a gift box for some reason. Anyone else going through the same struggle?! 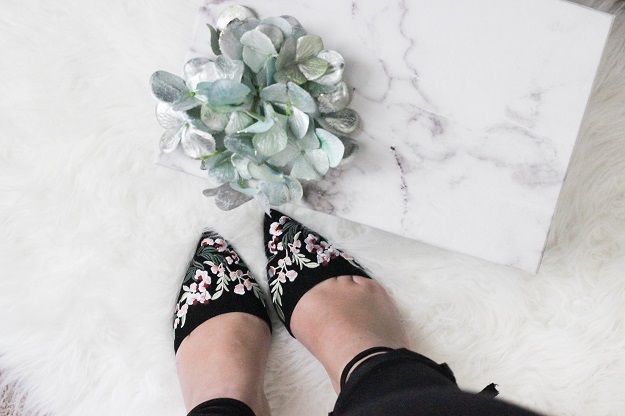 Luckily, I have a bunch of fake flowers in my house that I use for blog pics and one day thought to myself: what would it look like if I just taped some onto a gift box? The result: ridiculously glam. 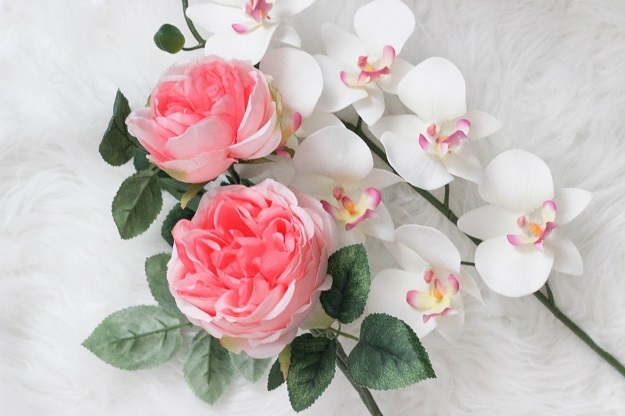 You can use orchids for a more minimalist look, roses for something girly, or even poinsettias for a festive look! If you really want to use a bow then I recommend unique fabrics like tulle! 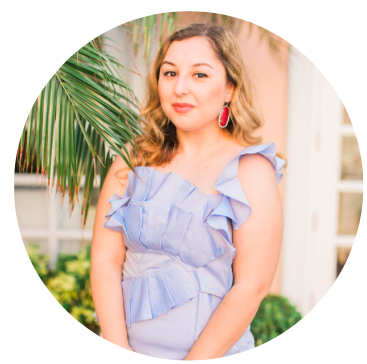 All you need is a square piece of tulle and another piece which you would cut into a long thin strip and tie it around the middle with that strip. It's a much more easier way of making a bow and takes only a few seconds! Hopefully I described that right but I'm sure you can see what I'm talking about in the pic below. 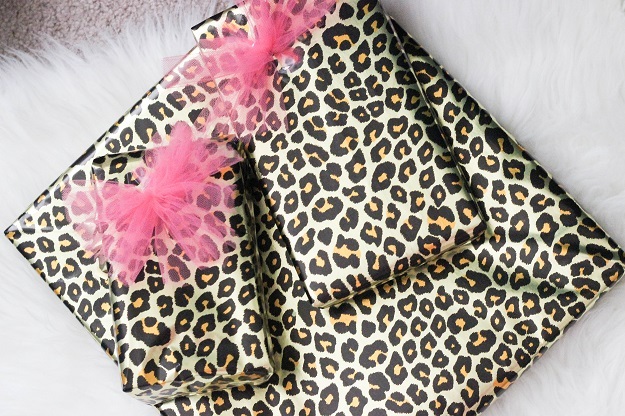 Forget plaid wrapping paper and go for something more unique patterns such as polka dots, black and white stripes, or even sparkles! For my best friends, I went with leopard print cause they're all so sassy and consider leopard to be a neutral so they would appreciate it. 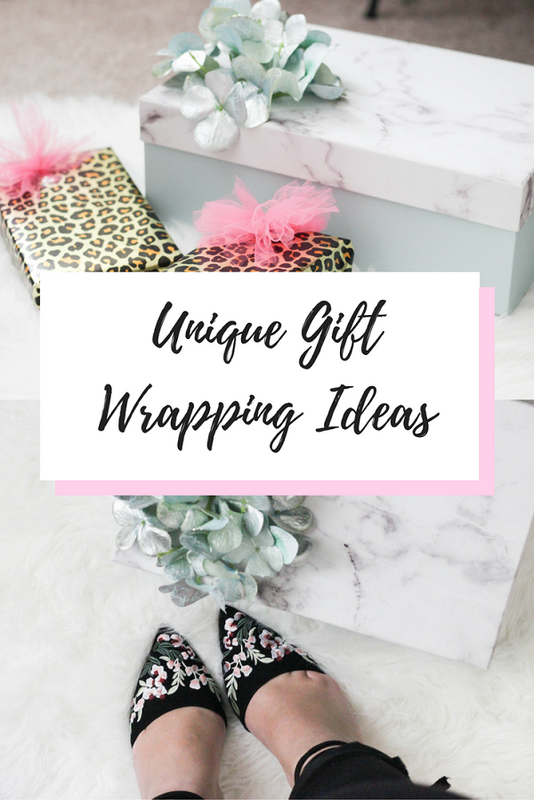 You can find some great gift wrapping paper at places like TJ Maxx or Home Goods for great prices. Not that great at gift wrapping? Neither am I! That's why I decided to try something new this year with storage boxes such as this marble and mint green one that I found at Home Goods. It looks super chic especially with the green flowers that I put on top, makes opening gifts super easy, and plus your loved one can re-use it around their home so technically it makes two gifts! haha. Hope you guys enjoyed this post! 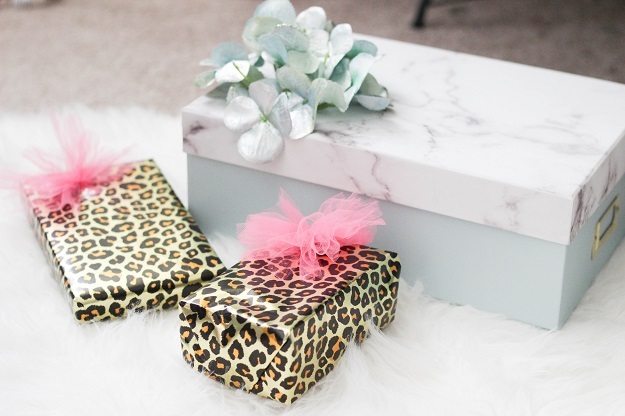 What are some other unique ways that you wrap your gifts?